Friends of ours always like to tell us about their exotic choice of meat for Christmas dinner. It's never the ordinary turkey - that would be too ordinary and they want to be marked out as 'different' from the ordinary UK family. So each Christmas it's something like venison or pheasant, or duck. For me, it has to be the traditional - turkey! But what about you? 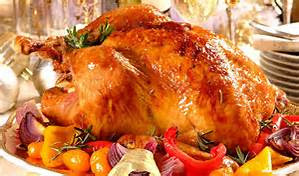 Is it turkey or goose (above) for dinner this Christmas? Well, if it's turkey then you are bucking the trend in the UK where turkey is in danger of being overtaken as the centrepiece of the festive table. It seems that free-range goose and other more upmarket delights have seen a surge in popularity so far this year as we search for the big 'wow factor' in our festive cooking. 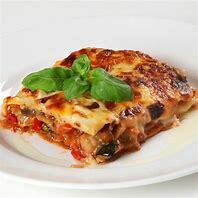 The rise of goose and such alternatives as venison (below), Italian stuffed pork, porchetta and lamb has been charted by one of the top online butchers. According to Farmsion and Co, a leading purveyor of over-the-internet festive meat, turkey remains the number one seller, taking into account whole birds, turkey crowns and stuffed breasts. But for the first time in the UK as many free-range geese are being sold as whole turkeys. The popularity of goose comes despite it being more expensive than a top quality free-range turkey. 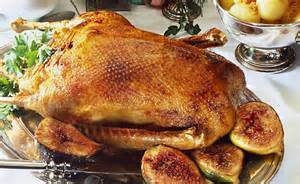 For example, one of the best birds, a 5kg Yorkshire herb-fed free-range bronze turkey can cost £69.95 (below), while a Yorkshire Wolds free-range goose of the same weight comes in at £79.95. 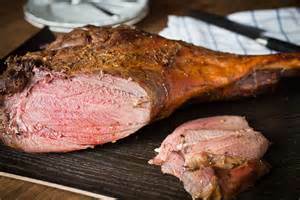 If your choice is goose, then there is more meat on the goose, with a suggested serving of eight people compared with six for the turkey. Farmison's are quoted in the food press as as saying that turkey is definitely on the slide, with a rack of venison being a massive favourite this year, equalling whole turkeys in terms of sales. Goose, they say, has gone through the roof and is selling double the amount that whole turkeys are doing. Maybe our good friends will be 'ordinary' this Christmas!